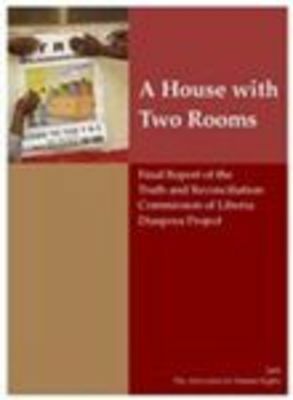 Established in 2009, DRI Press is the scholarship dissemination arm of Mitchell Hamline School of Law's Dispute Resolution Institute and brings important conflict resolution work to a broad audience. 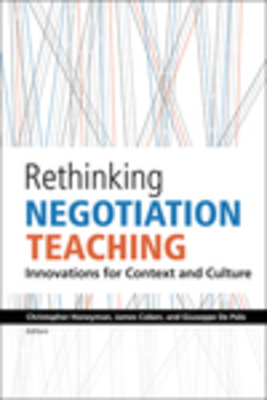 It has published several titles, including a series on Rethinking Negotiation Teaching, a multi-year effort to critique contemporary negotiation pedagogy and create new training designs. Recognizing that rigor alone is far from enough, the book explains how to collaboratively build and draw insights from decision trees in ways that work with emotion, psychology, and communication for client counseling, negotiation, and mediation. Offering examples of how to use the language and visual impact of decision trees in dialog with clients and opposing counsel, Risk and Rigor is an invaluable resource for lawyers and mediators seeking to facilitate reasoned settlement valuation while maintaining strong client relationships. 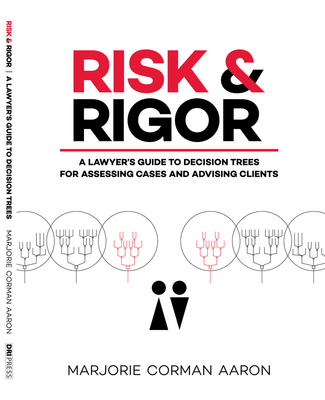 Shortly after the book’s publication, readers will be able to find RiskandRigor.com, a website with additional resources related to risk assessment, cost estimation, case valuation, and decision trees for legal practice. 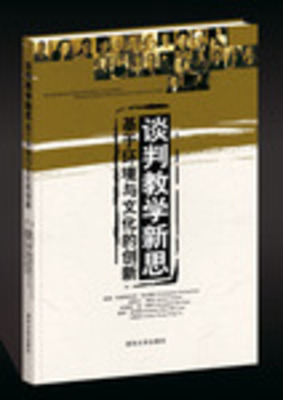 In May 2010, more than 50 of the world's leading negotiation scholars gathered in Beijing, China for the Rethinking Negotiation Teaching project’s third international conference designed to critically examine what is taught in contemporary negotiation courses and how we teach them, with special emphasis on how best to "translate" teaching methodology to succeed with diverse, global audiences. We chose China is the ideal venue to conclude our project’s inquiry, not only because of its own long history with negotiation, internal and external to the country, but because it is a nation with which, tensions or no tensions, every other nation must negotiate in the future. Yet, China has been almost unrepresented in the modern literature – at least, in the literature that is expressly about “negotiation.” Chinese scholars and practitioners also have yet to assert much influence in the global negotiation training market. Our hope was that the conference would serve as a springboard for the entry into this field, at a sophisticated level, of Chinese and other Asian scholars whose deep experience in many related subjects has yet to be fully felt in their implications for the field of negotiation. 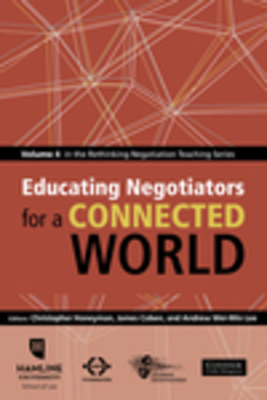 The contents of this volume, as well as the fourth and final volume in this teaching series – Educating Negotiators for a Connected World (Honeyman, Coben, and Lee 2012), suggest we may have succeeded in that particular goal. In October 2009, more than 50 of the world's leading negotiation scholars gathered in Istanbul, Turkey for the second in a series of three international conferences designed to critically examine what is taught in contemporary negotiation courses and how we teach them, with special emphasis on how best to "translate" teaching methodology to succeed with diverse, global audiences. 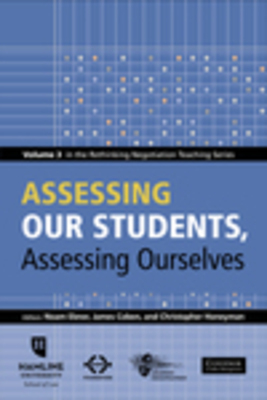 In organizing the Istanbul conference, we took particular note of a consistent strain of criticism of the artificiality of a classroom environment, which became a running theme of many of our authors in the project's first year, captured in the previously published RETHINKING NEGOTIATION TEACHING: INNOVATIONS FOR CONTEXT AND CULTURE (DRI Press 2009). It would be hard to imagine a better environment for trying something new and different outside the classroom environment than Istanbul, and we tried to do honor to one of the world's greatest trading cities in our design for the conference. In brief, we dispatched small teams of scholars into the city's famous bazaars, for one exercise in studying how negotiation might be taught more actively, and dispatched teams into the city's less touristy neighborhoods on another occasion, with instructions that required each team to negotiate internally. 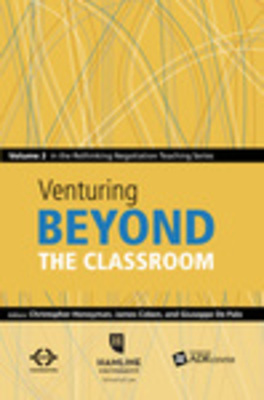 The resulting rich collection of scholarship is gathered in our current title - VENTURING BEYOND THE CLASSROOM.